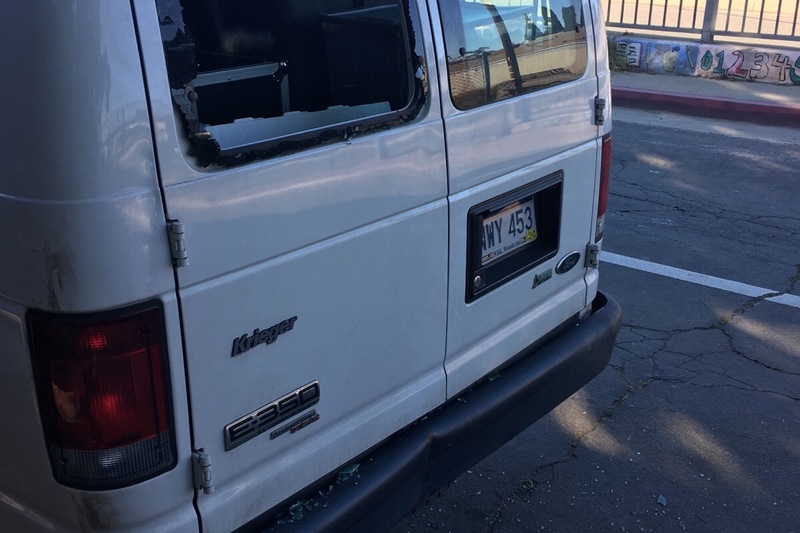 As much as it really pains us to be typing this out, we were unfortunately robbed in Long Beach, CA and a big chunk of our music gear was stolen. As heartbroken as we are right now, we are desperate to find some sort of solace out of this situation, and make the best of what we’ve been given. That being said, the gear that was stolen presents us with a very heavy price tag to compensate for. A price that none of us can pay out right. To be blunt, we’re upset, angry, mentally exhausted, and not sure where to turn. This is our livelyhood, and now the tools that help make touring, creating, and performing possible have been taken from us. It goes without saying that this is a HUGE setback for us in all regards. Aside from this happening more than 2000 miles away from home, it’s hard to tell if and when the police can recover our stolen equipment. Or if our insurance can cover the cost via loss prevention. We’re asking you from the bottom of our hearts that if you have ever supported us in any way to help us in any way you can. We’re not sure who or where to turn to, and now we’re facing a long drive home with the potential to not be involved in music for quite some time. We thank you in advance so so so so much if you even took the time to share this, read this, or even so much as spare your condolences.